A free snowman graphic. Click the image to view and download a larger version. This snowman is our second–don’t miss the first. This one is in a frontal pose. With his cheerful hat and scarf, he’s sure to add a touch of warmth to your winter designs and will be great for all kinds of projects, including graphic design, template design, scrabooking, and DIY crafts. After all, no winter scene would be complete without a snowman to chase away the winter cold. This graphic is a PNG file with a transparent background. 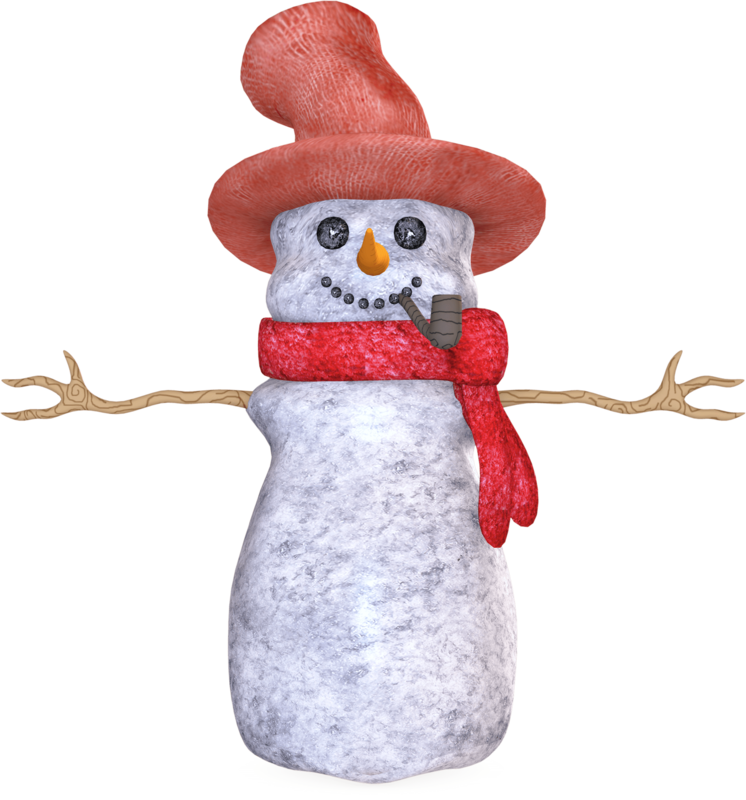 This entry was posted in Winter and tagged Christmas clipart, Christmas graphics, free clipart, holiday clipart, snowman clipart, snowman graphics on October 3, 2014 by Noel Bryan.